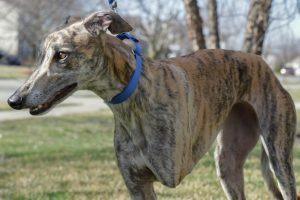 MotorCity Greyhound Rescue (MCGR) was conceived by a group of individuals connected by a deep love of the racing greyhound and an opposition to greyhound racing. MCGR is comprised of many dedicated volunteers and supporters who share our passion and for whom we are so grateful. We are based in the Detroit area and primarily serve the southeastern Michigan, southwestern Ontario and Toledo, Ohio areas. We can adopt to families within a four hour radius of Detroit. Our mission is to rescue greyhounds, galgos and other sighthounds and place them into permanent, loving homes. MCGR is opposed to the breeding and using of dogs for the racing and gambling business. We have homed over 400 racing greyhounds since 2012. 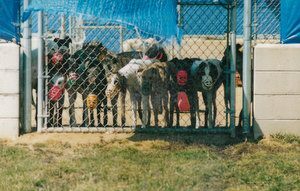 While we will always provide an avenue to adoption for the US racing greyhounds, the business owners no longer release their unwanted dogs to responsible adoption groups with our viewpoint. MCGR is partnered with Candy Cane Rescue which is based in the UK and operates in China. 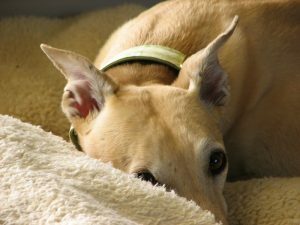 to provide care and a safe environment for greyhounds rescued from the Chinese meat trade. Racing greyhounds are exported from Ireland, UK and Australia by owners to race and breed in China. When they are no longer useful, many will be sold for meat where their torture is unimaginable. Dedicated Chinese rescuers work tirelessly to pull greyhounds and other dogs from the slaughterhouses. MCGR is also partnered with Galgos Del Sol who has saved thousands of galgos and podencos and placed them into loving homes throughout Europe and North America. Galgos have a similar appearance and demeanor to greyhounds, but they are sighthounds of a different lineage than the racing greyhound. These dogs were once revered by the Spanish, but they are now used by hunters and are considered disposable when the hunting season ends. Thousands are killed, injured and abandoned each year. Their rescuers pour their hearts into finding, rehabilitating and homing these sweet and deserving dogs. MotorCity Greyhound Rescue is a volunteer-driven 501(c)(3) non-profit organization. We strive to raise funds which will provide for the necessary vetting and transport expenses for our foster dogs. We must count on the generosity of individuals and community organizations who realize how precious these lives are and will help us in our mission. Donations are tax deductible. Be sure to check our Calendar of Events to see what’s happening! Greyhound Playdates are held at A Good Spot Kennel in Oxford. Thank you Susan Black for hosting these fun playtimes for greys and their people! We appreciate your generosity! If you are an Amazon shopper, log into SmileAmazon to shop. Be sure to bookmark this link! It’s a part of Amazon.com. The products, the prices, the services are all the same as amazon.com. The only difference is that when you shop through smile.amazon.com, MCGR will receive a donation from the Amazon Foundation! Kroger Community Rewards Kroger shoppers, please consider designating your rewards to go to MCGR. Kroger donates generously, so follow the link above to enroll or to link your Kroger Plus Card to us. Our group number is EV531. It’s the easest way to help raise funds for your favorite non-profit!